If you’ve been to AEON Mall Malaysia (or formerly known as JUSCO), then you probably see the stickers that they stick to the price tag. These stickers actually indicates the discount given for that particular item. 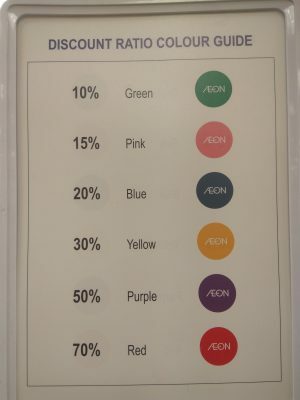 But sometime it is difficult to know the discount percentage if you don’t have the discount colour guide. 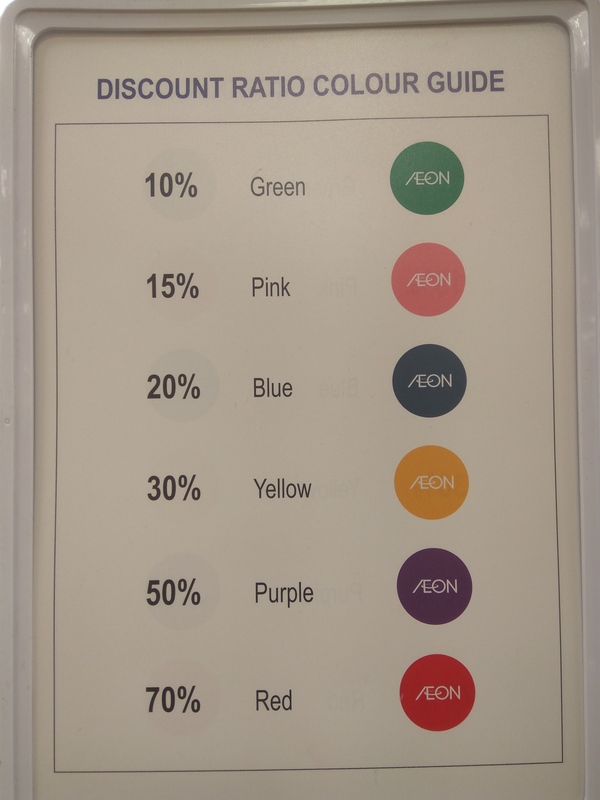 Below is the chart that I took recently at one of the AEON mall. This entry was posted in General and tagged aeon, shopping on January 16, 2017 by Khim Hoe.